Since finishing my giant squid, I’ve been looking for interesting but easy needlework projects. I made some more crocheted owls but got bored. (Note to self: if you’ve memorized the pattern, you might want to move on to something else.) I got out my copy of Teeny-Tiny Mochimochi by Anna Hrachovec and made a bunch of things I haven’t tried before. Here are a few of them. First up was chickens. They were cute and fun (and TINY! ), so I made several. 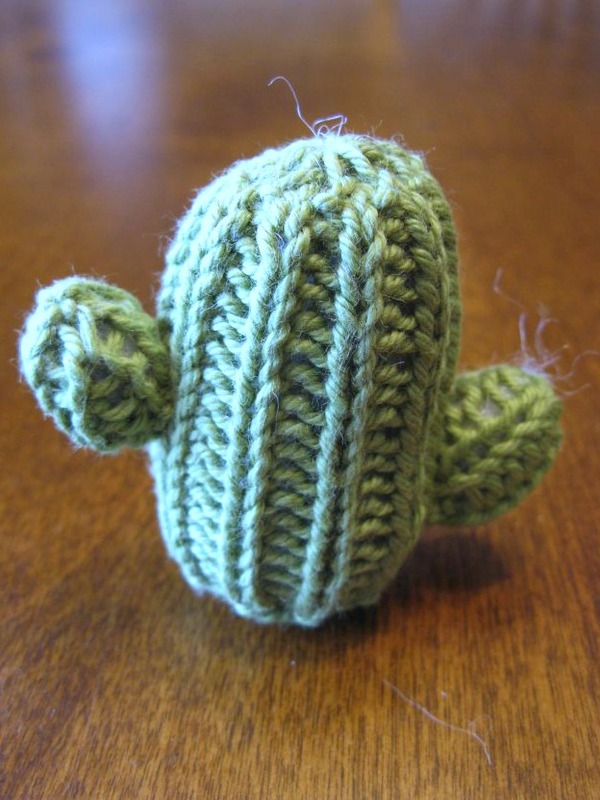 Then I tried some other “natural” knits: a pear and a cactus. The pattern has eyes on all these little things, even the inanimate stuff, but I don’t always like how they look, so I left them off of these two. 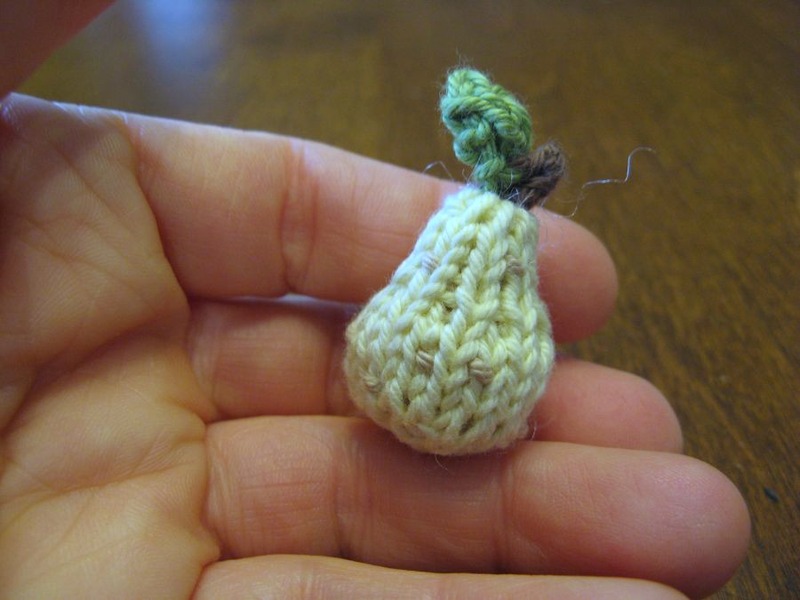 My pear is anemic-looking because my collection of cotton yarns didn’t have the right shade of green in it. Last of all, I finally made one of the projects from the holiday chapter: the Christmas tree. 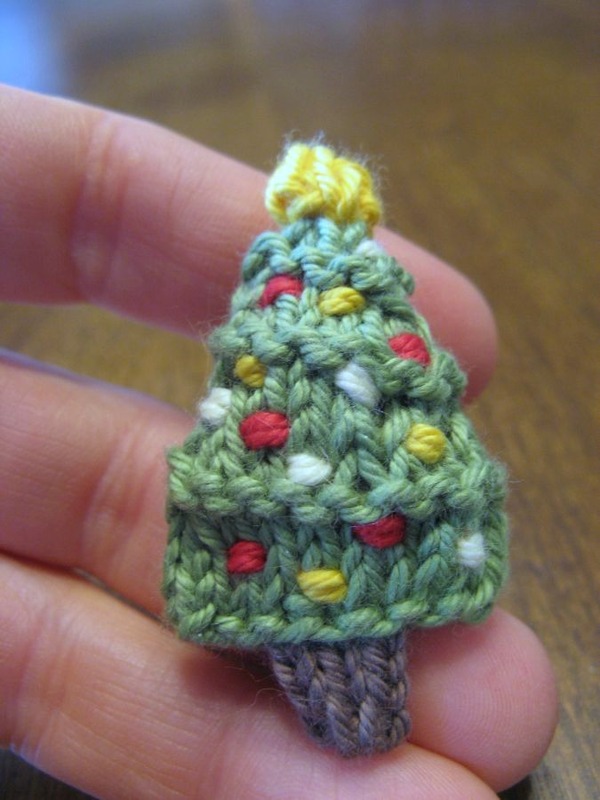 It’s too tiny to be a traditional ornament, so I think I’ll put a pin on the back so I can wear it next December. 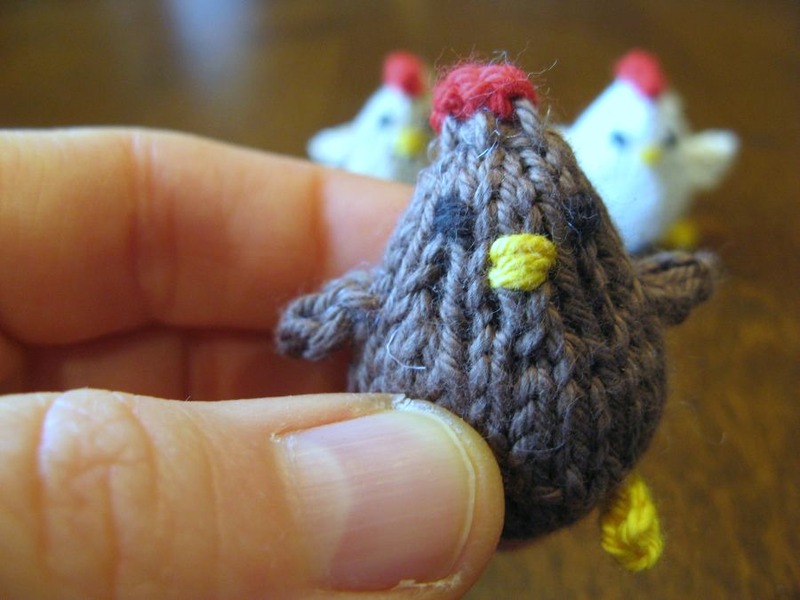 What are your favorite cute knit and crochet projects? These are so good and so cute!! I’ve been looking for some small knits to do, so will definitely be trying some of these out!! I’ve really enjoyed them. There’s another book with cute little animals called Mini Knitted Woodland. I’ll post about it after the book arrives and I give it a try. They are fun to make and don’t take much yarn. The book has a lot more patterns, too.